PubTechConnect 2017 Kelly & Bankoff. Photo © Sean Sime. On Tuesday, March 6th, 2018, NYU’s Center for Publishing and Publishers Weekly will present the second PubTechConnect, expanding the conversation about using technology, inventive tactics, and smart strategies to boost publishing businesses and brands. Combining diverse programming with a strong focus on publishing education, PubTechConnect 2018 will present an even larger roster of thought leaders directing the discussions. 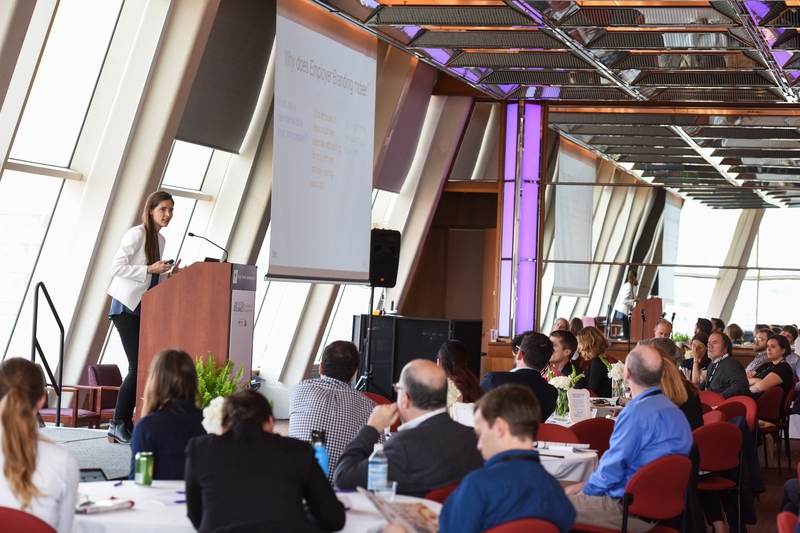 The conference will take place at the NYU Kimmel Center for University Life in New York City, and it will be a day of listening, learning, and networking with industry leaders. We look forward to having you join us. PubTechConnect 2017 Minshew. Photo © Sean Sime. Here are a few comments from last year's PubTechConnect. "I walked away feeling that I had been given a fresh perspective and new insights that would enable me to take a more creative and proactive approach to growing the business at Ballantine Bantam Dell." For more comments and the complete program and list of speakers from last year's event , click here. Conference co-chairs Andrea Chambers, director, NYU School of Professional Studies Center for Publishing, and Carl Pritzkat, Vice president of business development, Publishers Weekly. Pamela Paul, Editor of The New York Times Book Review and all book coverage at the newspaper, and Sam Dolnick, Assistant Editor (who has helped to launch and oversee NYT Audio, NYT VR, The Daily, The Daily 360, mobile strategy for The Times, and the Digital Transition team) discuss with Anand Giridharadas, writer and on-air political commentator for NBC News and MSNBC, how the newspaper has revised its book coverage and overall digital strategy to reach and engage new audiences. Lisa Chow, Host, Startup Podcast, a podcast from Gimlet Media that covers what it’s like to get a business off the ground, moderates. Andrew Brown, who heads the Google Play team, helps you share your publishing message through the wonders of artificial intelligence. Elisa Kreisinger, Executive Producer, Refinery 29, Inc., shows what really works and why in vibrant video that is budget-minded, tactical, and targeted to a distinct audience. Experts in influencer marketing, branded content, publishing partnerships, and event marketing provide strategies for success in a media landscape where it pays to be obsessive about an obsessed audience. Keith Grossman, Global Chief Revenue Officer, Bloomberg Media Group, moderates. Mara Lander, SENIOR MARKETING DIRECTOR, LICENSED PUBLISHING & BRAND MANAGEMENT, Scholastic, Inc.
Kristin Fassler, Vice President, Director of Marketing at the Ballantine Bantam Dell division of Penguin Random House, shares tips and tactics for engaging audiences with new technology. Practical, hands-on, how-to advice on platforms that are changing the way publishers approach both content and creativity. Peter Weingard, Vice President and Chief Marketing Officer, New York Public Radio, imparts tips and valuable takeaways on how to find partners, deals that benefit everyone, and the right audience for publishing podcasts that extend your brand and drive revenue. Marcy Drogin, President of Maximum Films and Management, and Erik Palma, President and CEO, Wheelhouse Films, share their expertise on maximizing the use of narrative content. They will help you understand how intellectual property and literary source material can be adapted across multiple media including film and TV. This session is helpful for publishers, literary agents, and authors. Prerna Gupta, Founder and Chief Executive Officer, Hooked, unpacks the power and incredible popularity of chat fiction for an obsessed, millennial audience. Molly Barton, CEO and CoFounder of Serial Box, shares her formula for snackable fiction delivered to your phone in serialized episodes. 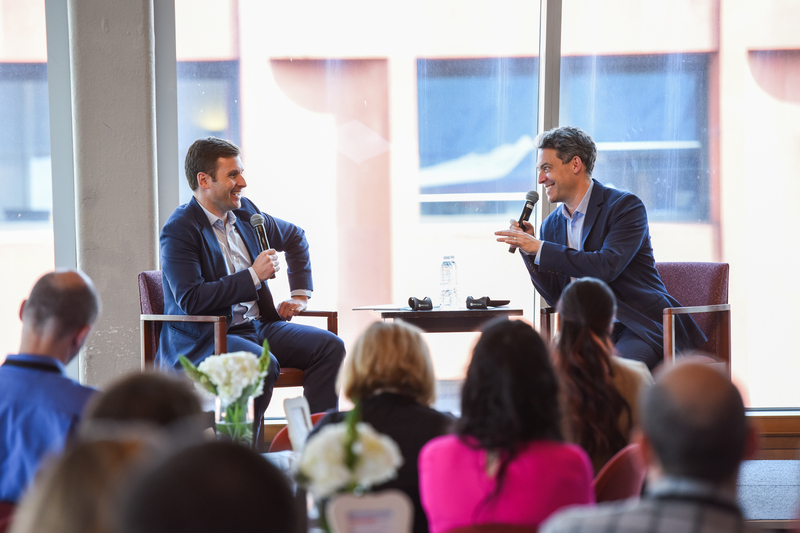 Now, more than ever, it’s highly important to connect with employees on key issues of workplace satisfaction, connectivity and collaboration, and diversity. Jonathan Sandler, Firmwide Leader of Gensler’s Media Practice Area, and Sumita Arora, STUDIO DIRECTOR AND PRINCIPAL, GENSLER, provide practical advice for creating a work environment that fosters creativity and connectivity. Jeremy Caplan, expert in workplace effectiveness and Director of Education for the Tow-Knight Center for Entrepreneurial Journalism at the CUNY Graduate School of Journalism, helps you reconfigure your messaging methods for efficient information sharing, delivered digitally. Annysa Polanco, Manager for Diversity and Inclusion Coordination and Career Outreach at Penguin Random House, outlines strategies being piloted for hiring, promoting, and managing in a workplace environment to embrace different perspectives, backgrounds, ideas, and solutions. Jason Low, Publisher and Co-Owner of Lee & Low Books, the largest multicultural children’s book publisher in the United States; Adriana Domínguez, literary agent at Full Circle Literary; and Shauntee Burns-Simpson, Manager, NYPL MyLibrary NYC School Support, provide examples and best practices for making diversity an integral part of every publishing process. 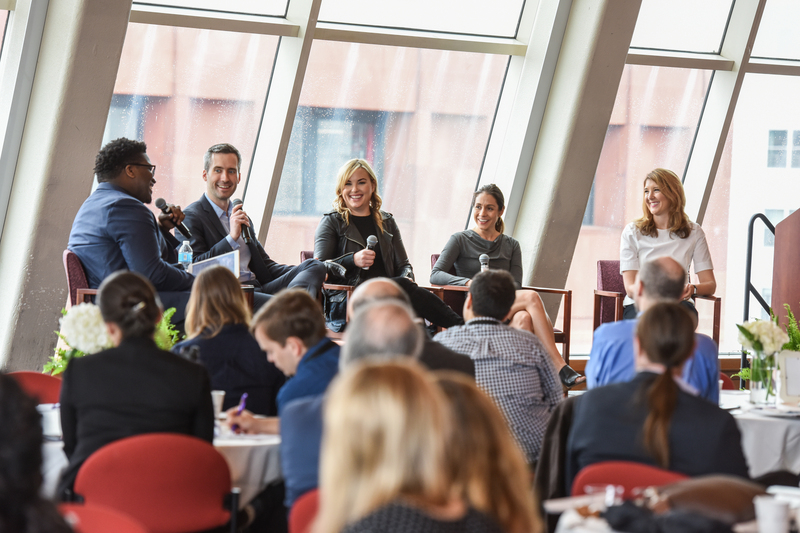 Hear from members of the next generation of editors, reporters, and directors who are fostering the freshest ideas and savviest strategies for change, creativity, and content that resonates with their peers. Thu-Huong Ha, Book & Culture Reporter for Quartz, and an executive producer of the annual TEDXNewYork conference moderates. Ben Lerer, CEO of Group Nine Media, which consists of four brands, The Dodo, Seeker, Thrillist, and NowThis, and Founder of Thrillist, and Jessi Hempel, Senior Writer for WIRED, discuss steps to success in creating media companies for a digital present and daring future. As firmwide media practice area leader, studio director and principal, Sumita Arora leverages her diversity of experiences from a 20+-year career to deliver next-generation media projects and contextually appropriate design solutions. Having worked in Washington, D.C., New York, London and New Delhi, India, where she ran her own firm, Sumita understands how geography and culture influence design. Since joining Gensler in 2005, she has worked with many of the leading media organizations as well as other industries. She is currently leading a research grant in partnership with Columbia University to address social impact, ecological and governance issue related to rapid urbanization. Molly Barton is the chief executive officer and co-founder of Serial Box, called “the HBO of reading” by NPR. She is also the executive producer of The Genius Dialogues podcast with MacArthur Fellows hosted by Bob Garfield (On the Media). Previously the global digital director at Penguin, she reported to the worldwide CEO and led the ebook and audio business, digital product innovation, and content strategy including partnerships with NBC and Starz Television. She served on the board of Pearson’s start-up investments in New York, London and Melbourne. Awarded Innovation Funding from Pearson, Barton founded Book Country, the writer collaboration and self-publishing platform for genre fiction writers. She recently served as a faculty member in the Writing Program at Wesleyan University. Melissa Bell is the Publisher of Vox Media, overseeing editorial strategy and development of the company’s networks, including SB Nation, Eater, The Verge, Vox, Curbed, Recode, Racked, and Polygon. She is also the co-founder of Vox, Vox Media’s brand known for explaining the news. Melissa has been named one of the Most Connected Women by Marie Claire, Most Powerful Women in Washington by the Washingtonian, and a top media Changemaker by Digiday. Prior to Vox Media, Melissa oversaw digital platforms at the Washington Post, where she was also one of The Post's most-read bloggers and a columnist for the Style section. Before joining The Post, she helped launch Mint, a Wall Street Journal subsidiary in India, where she lived for four years. Andrew is a product manager for Google Play Books. In this role he oversees Play Book’s consumer products. Prior to Google, Andrew was the co-founder and CTO of Oyster, the ebook subscription company. Andrew earned a bachelor’s degree in computer science and economics from Duke University. Shauntee Burns-Simpson is Manager of the School Support Program for The New York Public Library. An ambassador for libraries and librarianship, she connects people to the public library and its resources. As a Youth Librarian, she worked closely with at risk teens and fostered a love for reading & learning with her innovative programs. Currently, serving on the Executive Board for the Black Caucus of the American Library Association (ALA) and member of the ALA Committee on Diversity, Shauntee continues to strengthen our communities and encourages librarians to collaborate with community based organizations, to introduce new populations to the library. Jeremy Caplan is an expert in workplace digital effectiveness and coaches professionals and companies on digital efficiency. He is director of education for the Tow-Knight Center for Entrepreneurial Journalism at the CUNY Graduate School of Journalism. He has taught courses on reporting, multimedia storytelling, mobile video, business fundamentals and entrepreneurial journalism. Before joining CUNY he wrote for Time on business and technology, covering companies like Google, Yahoo, and Apple. David Cascino is the founder and CEO of Thunderclap, a platform for amplifying messages people care about. Inspired by the “Human Megaphone” used by “Occupy Wall Street” protesters, he wanted to give anyone the ability to speak up and be heard. Thunderclap has since been used by thousands of passionate individuals, organizations and global brands to extend the reach of their message. Prior to creating Thunderclap, he ran the engineering team at Knewton and co-founded AI Capital, a high frequency trading platform. Lisa Chow is host of StartUp, a documentary-style podcast series on entrepreneurial life. Before joining Gimlet Media, the company that produces StartUp, she was a senior editor at FiveThirtyEight and a reporter at NPR's Planet Money and WNYC. She graduated from Brown with a degree in applied math, and she has an MBA from Columbia Business School. Sam Dolnick has been an assistant editor for The New York Times since April 2017. In the past two years, he has helped to launch and oversee NYT Audio, NYT VR, The Daily, The Daily 360, mobile strategy for The Times, the Digital Transition team, and the David Carr Fellowship. Dolnick was previously an associate editor in the newsroom. In 2015, he was a leader on a cross-disciplinary team that produced the newsroom’s first VR film, “The Displaced,” and distributed 1.3 million cardboard VR headsets in what was widely described as “VR’s first mainstream moment.” Dolnick joined The Times as a reporter on the Metro desk in 2009. He has also worked as the newsroom's lead editor for mobile and as the deputy Sports editor. Adriana Domínguez is an agent at Full Circle Literary and has 20 years of experience in publishing. Prior to becoming an agent, she was Executive Editor at HarperCollins Children’s Books, where she managed the children’s division of the Rayo imprint. Before that, she was Children’s Reviews Editor at Críticas magazine, published by Library Journal. Adriana has performed editorial work for both children and adult publishers. She is also a professional translator, has served on the Brooklyn Literary Council that organizes the Brooklyn Book Festival, and was one of the founders of the Comadres and Compadres Writers Conference in New York City. Adriana has a long trajectory of publishing underrepresented authors and illustrators, and welcomes submissions that offer diverse points of view. Books that she has edited or represented have been awarded the Pura Belpré Medal and the Coretta Scott King Honor among others, and been finalists for the National Book Critics Circle Award and the NAACP Award. Marcy Drogin, an independent literary scout and film producer, is the founder of Maximum Films & Management. The company currently serves as the New York-based literary scout for LA- and London-based movie and TV studios and production companies including: DreamWorks Studios/Amblin Partners; Illumination Entertainment; Rat Pac Entertainment (Brett Ratner); Original Film; Welle Entertainment (Cathy Schulman); and the NBCUniversal TV group including NBC, Universal TV, & NBCUniversal International TV. Prior to starting Maximum Films, Drogin served as president of production at Furthur Films in New York, Michael Douglas’ feature film production company, where she produced such films as “The Sentinel,” “It Runs in the Family,” and “Swimfan,” among others. Drogin also worked as an executive producer, production, and creative executive and literary consultant for various studios, production companies, and producers in the motion picture and television industry. She began her career as a theatre producer in New York, working for esteemed Broadway producers James Pentecost and Charles Suisman, and subsequently produced many plays, both on and off Broadway. She is a B.F.A. Honors graduate of NYU’s Tisch School of the Arts. Kristin Fassler is vice president, director of marketing at the Ballantine Bantam Dell division of Penguin Random House. She oversees the creation and implementation of the consumer marketing, branding, and social strategies for over 250 fiction and nonfiction titles annually, across print and digital-only imprints, including campaigns for bestselling authors such as Diana Gabaldon, Debbie Macomber, George R. R. Martin, Lee Child, Jodi Picoult, and Van Jones. Working collaboratively with her team of talented title marketers, she is focused on creating and executing unique, measurable, and digitally-driven marketing campaigns that promote brand awareness, drive discoverability, and grow sales across all formats. Meredith Ferguson serves as managing director for TMI Strategy, the DoSomething.org consultancy that leverages data, research, and storytelling to help build clients' strategies for activating young people. Her career has spanned both client and agency roles. Prior to joining TMI, Meredith served as vice president of strategic initiatives at Northlich. There, she spearheaded the ILostABet.org, YourChemistry.org, and GiveThemTen.org strategies, as well as led client work for Sam's Club, White House Black Market, and the Cleveland Clinic Foundation. Meredith is a graduate of Vanderbilt Law School, where she was a founding member of the Vanderbilt Child & Family Law Clinic and later served as a board member for Court Appointed Special Advocates (CASA). Sara Fischer is a Media Reporter for Axios and the author of Axios Media Trends, a newsletter where she delivers smart analysis on the trends impacting the digital media ecosystem. Previously, she was a digital producer for The Washington Post, where she produced and edited segments for live and digital audiences. Fischer’s media background includes positions at The New York Times where she was part of The Times’ political advertising team. Fischer joined The Times from CNN in 2014, where she wrote breaking news stories for CNN Politics and co-authored the network’s political newsletter, Gut Check. Before joining CNN, Fischer served as a Business Development Associate at POLITICO, where she helped manage sales operations and client engagement for the company’s advertising team. Anand Giridharadas is the author of the forthcoming book "Winners Take All: The Elite Charade of Changing the World," to be published by Knopf in the fall of 2018. His other books are “The True American: Murder and Mercy in Texas,” and “India Calling: An Intimate Portrait of a Nation’s Remaking.” He is an on-air political analyst for NBC News and MSNBC, and a visiting scholar at the Arthur L. Carter Journalism Institute at New York University. He is a former columnist and correspondent for The New York Times, having written, most recently, the biweekly “Letter from America.” He has also written for The Atlantic, The New Yorker, and other publications. Anand worked briefly as a consultant for McKinsey & Company in Mumbai, before becoming a journalist in 2005. He appears regularly on TV and the radio in the United States and globally, including on CNN, MSNBC, NPR, “Morning Joe,” and "The Daily Show." He is a Henry Crown fellow of the Aspen Institute. 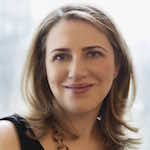 Sara Goodman is the Editorial Director of the Wednesday Books imprint at Macmillan’s St. Martin’s Press, having begun her publishing career at Ralph M. Vicinanza, Ltd. as an agent in 2001, and joining St. Martin’s Press six years later as an Editorial Assistant. In the course of her editorial career, she has edited Rainbow Rowell, the #1 New York Times bestselling author of Eleanor & Park, Fangirl, Landline, and Carry On; Courtney Summers, the acclaimed author of Cracked Up to Be, Some Girls Are, Fall For Anything, This is Not a Test, and All the Rage; the YA anthologies My True Love Gave To Me and Summer Days and Summer Nights with internationally bestselling author Stephanie Perkins; and the co-authored novel by David Levithan and Nina LaCour, You Know Me Well; and I Hate Everyone But You, an epistolary novel from YouTube sensations, Gaby Dunn and Allison Raskin, among many other books. Jessica Grose is the editor of Lenny, an email newsletter from Lena Dunham and Jenni Konner. She writes about women's issues, family, culture, and grizzly bears. She argued in defense of her generation as part of an Intelligence Squared debate. Her debut novel, Sad Desk Salad, came out in 2012, followed by her second novel, Soulmates, in 2016. She was formerly a senior editor at Slate, and an editor at Jezebel. Her work has appeared in The New York Times, New York, Businessweek, Elle, Cosmopolitan, and many other publications. Jessica is the co-author, with Doree Shafrir, of Love, Mom: Poignant, Goofy, Brilliant Messages from Home, based on their blog, Postcards From Yo Momma. She lives in Brooklyn with her husband and daughter. Keith A. Grossman is global chief revenue officer for the Bloomberg Media Group, Bloomberg L.P.'s global multi-platform media organization that comprises web, mobile, television, digital video, radio, print magazines and live events platforms. Since joining Bloomberg L.P. in July 2014, Keith has coordinated Bloomberg's advertising sales for a new suite of digital assets and worked to align Bloomberg's content offerings to global business, targeting new consumers. Prior to Bloomberg, Keith was associate publisher of WIRED and Ars Technica. In more than a decade at Condé Nast, Keith became the youngest employee in the company's history to be name Sales Person of the Year and later became one of the youngest Associate Publishers. Prerna Gupta is founder & chief executive officer of Hooked, a company that is redefining fiction for the Snapchat generation. Hooked’s mission is to make reading as engaging for teens and millennials as texting their friends. The app has reached over 40 million readers worldwide and has hit the #1 spot in the App Store in 25 countries. Hooked is backed by top investors in Silicon Valley and Hollywood, including Ashton Kutcher, William Morris Endeavor, Steph Curry, Kevin Durant, Snoop Dogg, Mariah Carey, Greg Silverman, Charles King, Founders Fund, SV Angel, Greylock, and more. Previously, Gupta was chief product officer at Smule, where she led the development of hit music apps, like AutoRap. She has been named one of the Most Influential Woman in Tech by Fast Company, and her writing has been featured in The New York Times, Vogue, Forbes, and TechCrunch, among others. Gupta graduated Phi Beta Kappa from Stanford University. Thu-Huong Ha writes about books and culture for Quartz. She's an executive producer of the bi-annual TEDxNewYork conference and the author of the YA novel Hail Caesar, published by PUSH, an imprint of Scholastic. She likes to eat and learn, at times in tandem. Jessi Hempel is a senior writer at WIRED. Formerly the head of editorial for Backchannel, she helped guide digital feature-writing about the most important people and companies in technology. Earlier in her career, she was a senior writer for Fortune, where she penned cover stories on Yahoo!, Facebook, Twitter, LinkedIn, and IBM, and co-chaired Fortune’s Aspen tech conference. She has appeared on CNN, PBS, MSNBC, Fox, and CNBC, and she speaks regularly on the culture and business of technology. Before that, Jessi wrote for BusinessWeek and TIME Asia. Jessi is a graduate of Brown University and received a Master’s in Journalism from U.C. Berkeley. She lives in New York City. Amanda Hesser is the co-founder and chief executive officer of kitchen and home company Food52, which she co-founded with Merrill Stubbs in 2009. From 1997 to 2008, she was a reporter and food editor at The New York Times. She is the author of Cooking for Mr. Latte: a Food Lover’s Courtship, with Recipes and The Cook and the Gardener and the co-author of two Food52 cookbooks. Her The Essential New York Times Cookbook was a New York Times Bestseller, and her most recent book, written with Stubbs, is A New Way to Dinner. Hesser has been named one of the 50 most influential women in food by Gourmet, played herself in the Nora Ephron film Julie & Julia, created the Twitter app Plodt, and served on President Obama's Commission on White House Fellowships. She lives in Brooklyn with her husband and twins. Elisa Kreisinger is an executive producer at Refinery29 where she hosts and produces the iTunes top 10 podcast and video series, Strong Opinions Loosely Held (SOLH). SOLH won a 2017 DigiDay Award for best podcast and was a 2017 Webby Honoree. It is one of the fastest growing franchise at Refinery29. Before launching SOLH, she scaled Refinery29's video content resulting in a 500% increase in video views and increasing video production by 250%. Now, three out of four women on Facebook see the company's video content. Elisa is a Women in Technology Fellow at NYU Tandon School of Engineering. Her U.S. Copyright Office testimony helped win crucial exemptions to the Digital Millennium Copyright Act, setting the stage for video to dominate across social platforms. Her solo gallery show resulted in a U.S. Copyright Office White paper in support of internet meme culture. Mara Lander is senior marketing director, licensed publishing & brand management at Scholastic. She manages industry and consumer promotion for all trade licensed publishing, from Five Nights at Freddy’s to Peppa Pig, along with heritage brands like Clifford and Goosebumps. She specializes in promotional and strategic partnerships and has worked with companies like Disney/Marvel, NBCUniversal, Mattel, Hasbro, and LEGO. Prior to Scholastic, Lander worked as executive director of licensing at Little, Brown Books for Young Readers, overseeing acquisition, brand management and marketing of such properties as The Minions, Monster High, and My Little Pony. She is passionate about using the publishing category to expand upon the franchises existing fans are already invested in, deepening backstory, broadening character development, and delivering must-have content for rabid fandom of all ages. Jane Lee is the senior manager of content and community at Epic Reads, HarperCollins’s young adult reading community, where she manages brand activity, leads social media strategy, and develops content. She believes in the power of creative storytelling and is always on the lookout for new and cool ways to approach brand marketing across platforms that will boost engagement and grow communities. Before joining Epic Reads, she was previously at Little, Brown Books for Young Readers as the digital marketing and social media manager of NOVL. Ben Lerer is the founding CEO of Group Nine Media, a digital media holding company consisting of NowThis, The Dodo, Seeker and Thrillist (which he founded). Ben was among Ernst & Young’s Entrepreneur of the Year Award Winners, and has been featured in Vanity Fair’s Next Establishment, Crain’s “40 under 40” and Forbes list of “Most Powerful CEOs Under 40”.Ben is also the co-founder and Managing Director of Lerer Hippeau Ventures, among New York’s most successful technology investment funds. Ben sits on the Board of Directors for Casper, the Advisory Board for Refinery29 and the Board of RaisedByUs. Jason Low is the publisher and a co-owner of Lee & Low Books, the largest multicultural children’s book publisher in the United States. Over the years, Jason has spoken at conferences and universities across the country about the importance of diversity and inclusion in books for children. Founded in 1991, Lee & Low was named the 2014 Indie Publisher of the Year by ForeWord Magazine. In 2016, the Eric Carle Museum selected Lee & Low as the recipient of its Angel Award for the company’s dedication to diverse books and to a new generation of artists and authors who offer children both mirrors and windows to the world. Michael is the Co-Founder and CEO of Anchor, the company that makes it easy for anyone to hear, share, and create audio. Michael built Anchor to democratize audio: putting a podcast recording studio in the pockets of creators and developing features to make content interactive. Previously, Michael was VP of Product for Aviary, growing the company’s audience to over 100M users before being acquired by Adobe in 2014. Prior to that, Michael led Digital Product Development for Atlantic Records. Erik Palma is the founder and president of Wheelhouse Films, a company scouting literary properties for film and TV with clients such as Jerry Bruckheimer Films and TV, A+E Networks, 6th & Idaho, and Escape Artists. Prior to founding Wheelhouse, Erik worked as director of Development for Universal Pictures' East Coast office, and director of development at Sandollar Productions. He began his career in the publishing industry, working in the editorial departments of William Morrow and Random House. He is a graduate of Vassar College. Pamela Paul is the editor of The New York Times Book Review and of all book coverage at the newspaper. She is the author of four books, most recently My Life with Bob. She is also the editor of an anthology, By the Book: Writers on Literature and the Literary Life. She is the host of the Book Review podcast, the longest-running podcast at The Times. Paul has been a contributor to TIME magazine and a columnist for The Economist, Worth, and for The New York Times Sunday Styles section. Her work has appeared in The Atlantic, The Washington Post, The New York Times, The Economist, Vogue, and other publications. Annysa Polanco is the Manager for Diversity and Inclusion Coordination and Career Outreach at Penguin Random House. She works closely with colleagues in Human Resources and across the company to develop and advance strategic corporate and divisional diversity and inclusion initiatives. She is responsible for career outreach and education efforts with schools and other organizations, leveraging existing partners and developing new ones in addition to overseeing the Penguin Random House Internship Program. Prior to her current role, she was the Career Program Manager for The Posse Foundation where she cultivated public and corporate partnerships with industry-leading companies to support their hiring needs while providing professional development services to over 200 young professionals. Hayley Romer is publisher and chief revenue officer of The Atlantic. In this role, she leads The Atlantic’s global sales team, award-winning in-house branded content studio, Atlantic Re:think, and brand marketing for The Atlantic. Romer has doubled the advertising revenue for The Atlantic and more than doubled the size of her team, helping to establish The Atlantic and Atlantic Re:think as the leader in the native advertising industry. Prior to joining The Atlantic in May 2012 as associate publisher, Hayley spent five years at the Condé Nast Media Group and seven years at Forbes Media. In 2016 Hayley was named to AdAge’s 40 Under 40 list for her work helping establish The Atlantic as an innovative leader within the media and advertising industry. Johnathan Sandler is Strategy Director, Firmwide Publisher and Media Pratice Area Leader, Gensler Sandler provides strategic planning and consulting services for Fortune 500 companies in New York and internationally, including Condé Nast, Hachette Book Group, The New York Times Company and The Hearst Corporation. With a background in design and real estate development, he is works with key client organizations in the media sector. He regularly speaks at industry conferences such as Real Leasing Toronto and the University of Pennsylvania Wharton School’s annual conference. Josh Stinchcomb is the chief experience officer of Condé Nast where he oversees branded content, experiential, and licensing for the company. Stinchcomb has held numerous roles at Condé Nast including senior vice president of Corporate Sales and publisher of Condé Nast Digital. In 2008, he was awarded Sales Team Leader of the Year by MIN (Media Industry Newsletters). In 2013, he was named to Ad Age’s 40 under 40. He has taught for the NYUSPS M.S. in Publishing: Digital and Print Media. A graduate of Middlebury College in Vermont, Stinchcomb also has an M.B.A from New York University. Peter Weingard is the Chief Marketing Officer at New York Public Radio, leading marketing innovation, data, research and audience growth across an expanding portfolio of products and platforms including digital audio powerhouse, WNYC Studios. Before joining New York Public Radio, Peter was part of the founding management team that built and grew Food Network's SaaS dining reservations business, CityEats, from concept through multi-million dollar exit in under three years. Peter also served executive management roles in top digital media and entertainment brands including as CMO of About.com, digital product development at The New York Times and Vice President of data and CRM at Clear Channel Entertainment (now Live Nation). Peter started his career at the advertising firm, DDB, where he helped create and launch the global digital research spin off, Market Access International. Peter also teaches at New York University’s SPS Integrated Marketing program. Jamia Wilson is the executive director and publisher of the Feminist Press. A thought leader and a writer, Wilson has contributed to New York, the New York Times, The Today Show, CNN, BBC, Teen Vogue, Elle, Refinery 29, Rookie, and the Guardian. In 2016 Wilson was honored as a Black Feminist Human Rights Defender by Black Women’s Blueprint and was recognized by Refinery 29 as one of “17 Faces of the Future of Feminism” in 2013. She is the author of Young, Gifted and Black, a co-author of Road Map for Revolutionaries and wrote the introduction and oral history to Together We Rise: Behind the Scenes at the Protest Heard Around the World (Dey Street Books). PubTehConnect 2017 innovators panel. Photo © Sean Sime. “PUBTECHCONNECT provided both an understanding of the current industry landscape and perspectives to help analyze and plan for changes on the horizon. I found the insights provided by the speakers and participants to be of great value as I analyze the marketplace. As an additional bonus, the conference also provided an opportunity to connect with experts within the broader spectrum of the publishing industry." "I absolutely loved hearing from such a diverse mix of business leaders across different disciplines and not just book publishing. Learning how others are dealing with the age of disruption gave a sense of camaraderie while at the same time provided takeaways, ideas, and inspiration for my own business." 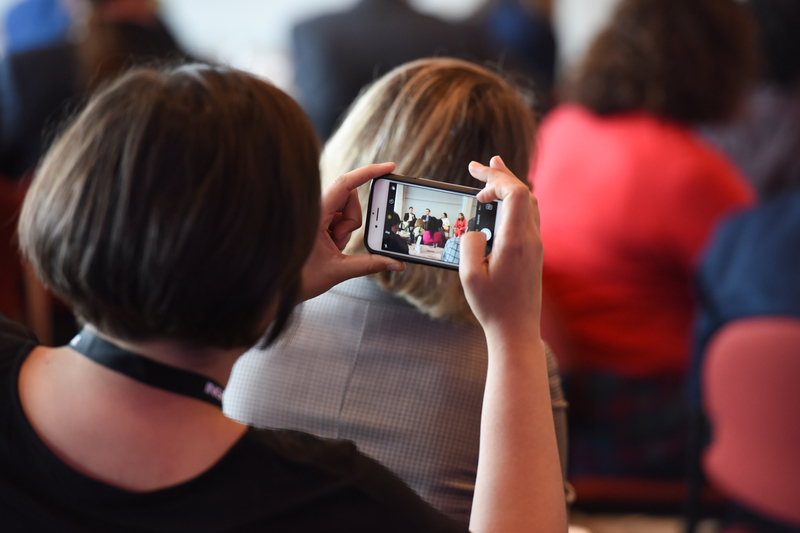 "It was refreshing to attend a conference with speakers from a range of industries beyond publishing and media, and where the audience could make the connections to their own businesses when and as needed. Everyone who presented had something useful to contribute – and I'm still drawing on their insights months later." PubTehConnect 2017 marketers panel. Photo © Sean Sime. "I gleaned a lot of useful information about how to be a better manager and how to think creatively about industry disruption, adaptation, and innovation. We were pleased to be included and look forward to supporting the initiative in future." Read more from “Books Meet Tech at PubTechConnect” on Publishers Weekly. 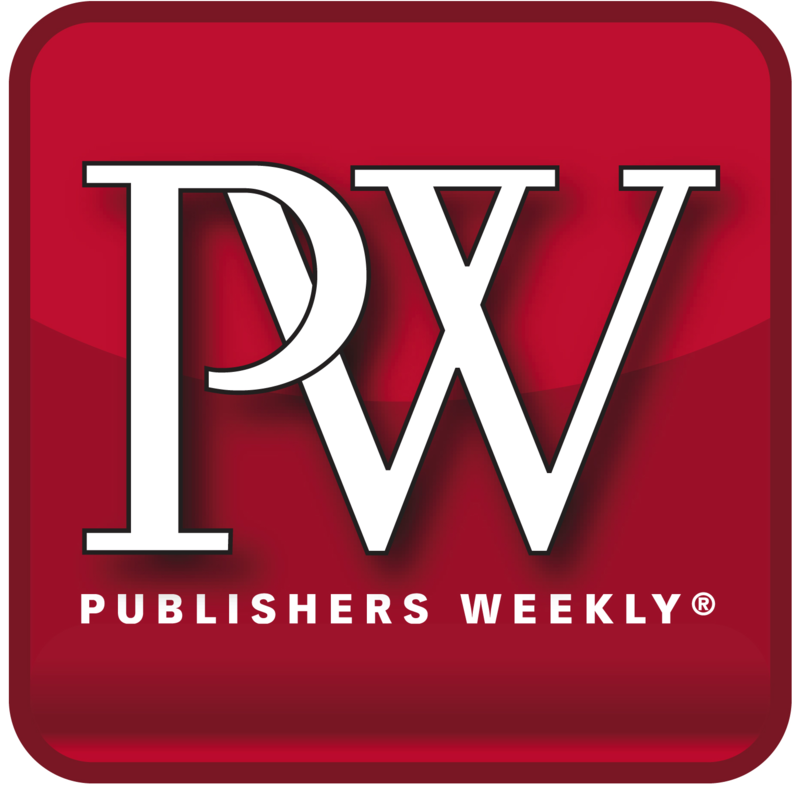 Read Publishers Weekly’s full conference coverage here. Read more from “PubTechConnect’s First Outing: Content in Digital Times” on Publishing Perspectives. Read more from “PubTechConnect: Where Publishing Meets its Future” on Publishing Trends.